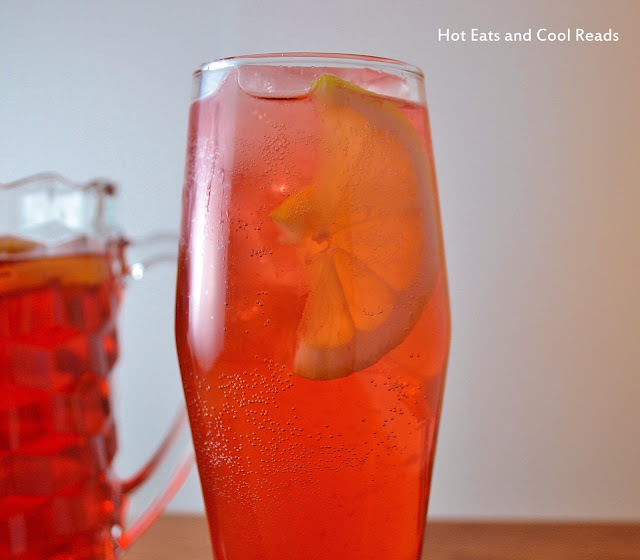 This punch recipe is so perfect for the holidays! I just love the combo of flavors, and the longer you let it sit, the more the lemon flavor comes out. It's so refreshing and also super easy to make!! My 5 year old Ella absolutely loved it! I'm sure your family will as well! You could also swap the ginger ale for some champagne or sparkling wine to make it into a New Year's celebration cocktail! Enjoy! Heat water and sugar in a large pot until sugar is dissolved, about 5 minutes. Stir occasionally. Remove from heat. Add grape juice, apple cider, and lemons. Refrigerate until cold and add ginger ale when serving. Your Apple Cider Punch looks delicious and very refreshing. Thank you so much for sharing with Full Plate Thursday and a very Merry Christmas to you and your family. Thank you for sharing on Tasty Thursday. This looks delicious. Great for a holiday party. My mom makes a punch like this for Christmas. I will have to try your recipe, it's so pretty! I love having a fun holiday punch that my kids can enjoy! This looks great.